Every year, tens of thousands of home “do it yourself” (DIY) amateurs suffer from eye injuries. The main reason for this is that most are amateurs with limited or no experience in their projects. Many of those who don’t normally work with their hands professionally, also lack an awareness of common safety practices such as using eye protection. Most of the accidents that send people to the emergency room could have been avoided had they used the right safety glasses. There are several “mechanisms” that propel particles and material fragments into the eyes. The first that comes to mind is the mechanical motion of power tools that drill, cut, grind, and chip. The cutting elements either reciprocate or rotate and often fling particles and fragments into the air. Fast moving air from compressed air and blowers (such as leaf blowers) can also propel particles at high speeds. Power washers can do the same thing with high velocity water jets. Gravity is another force that moves things through the air, and endangers unprotected eyes beneath the work activity. Elastic materials under tension such as bungee cords, springs, rubber bands and even tree branches, can suddenly cut loose or break, and take the inattentive person by surprise. Finally, there are a few DIY circumstances that expose people to the risk of an explosion. Ceiling work. Ceiling tile removal may involve pulling, prying, and chipping activities that may cause particles and debris to fall into the eyes. Painting ceilings can cause dripping paint, while paint stripping releases dried paint flecks. Automotive work. Working under a car subjects the eyes to falling particles. A danger that can cause blindness is an exploding battery. Lead acid batteries release small amounts of hydrogen that can ignite by sparks created when setting up jumper cables. The risk is highest when working with old, discharged, or over charged batteries. Drilling concrete. This is often done when installing fasteners to a concrete wall or when doing sidewalk repair. High RPM drills such as those powered by compressed air, can send bits of concrete flying in many directions. Wood cutting. Circular saws are commonly used for cutting two-by-fours and plywood sheets. Exercise extreme caution to avoid injuries to the hands and fingers. Wear prescription safety glasses to protect your eyes. Cutting trees and branches. Chainsaws can kick up a lot of flying wood debris. One danger that can take the inexperienced DIY person by surprise is cutting through a tree trunk or large branch that is mechanically stressed. This causes it to give a violent “kick” when you complete your cut. Anticipate this possibility by keeping your face away from the trunk or branch and wearing prescription safety glasses. Replacing garage door springs. These can store hundreds of pounds of force. Accidentally breaking or releasing one can cause serious harm. Anything that stores elastic energy, from rubber bands and bungee cords to garage door springs, can damage unprotected eyes. Wear protective eyewear. Make a habit of putting on prescription safety glasses when doing any DIY work. Anticipating all possible eye hazards of any job is difficult. 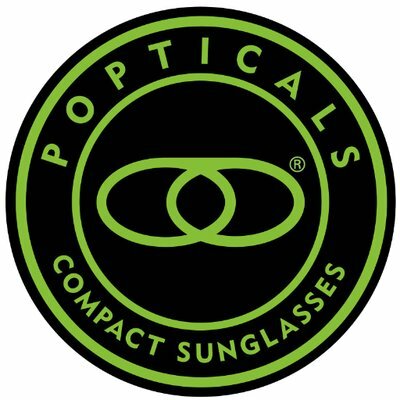 It’s simpler and safer to just wear eye protection regardless of the activity. Work slowly, carefully, and deliberately. Familiarize yourself with the operating instructions and warnings of your tools. Think through your work carefully and never rush through anything. Anticipate and stay clear of flying debris. Some tools such as drills can kick up debris in any direction. The same is true of striking things with a hammer. Other tools such as circular saws and grinding wheels throw debris in more predictable directions. If you haven’t done this already, get prescription safety glasses for your DIY activities. 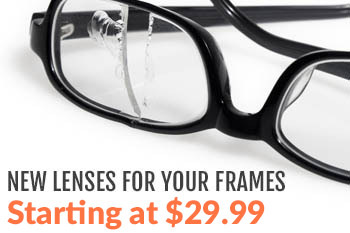 Rx-safety has a large selection of prescription safety eyewear available. If you need help in deciding which of our eyewear is best for you, don’t hesitate to contact us.